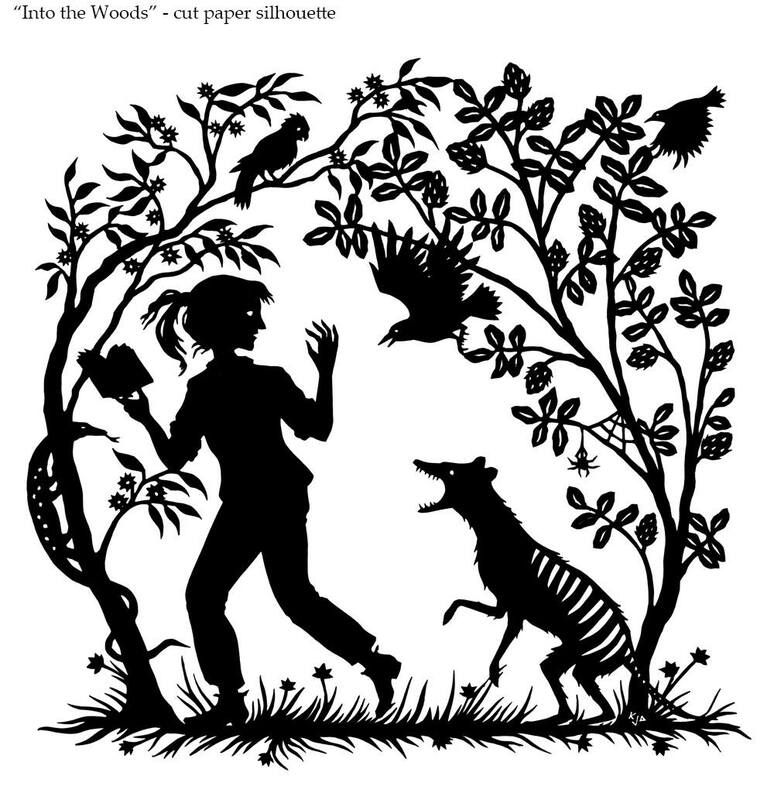 I have this idea that writing fairy tales is a little bit like doing a colouring-in stencil. These old, old tales supply the outlines, but it’s up to me to imagine the details and add the colours. 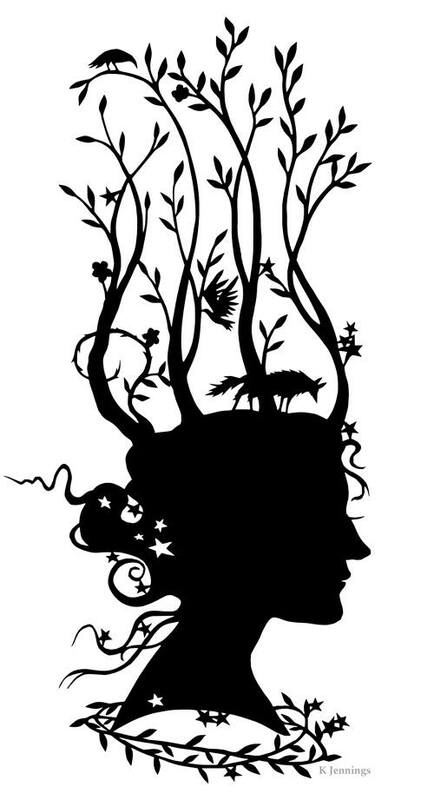 I think this is why I love silhouette illustrations so much. 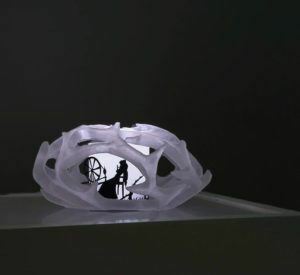 They leave so much unstated and offer the viewer such a delicious opportunity to exercise their own imagination. One of my favourite picture books from my childhood (that I still have and treasure to this day) is Cinderella, illustrated by Jan Pienkowski (published 1977). It’s a teeny tiny, hardcover book that must have originally come as part of a miniature boxed set, but I only ever had the one. I can remember spending hours poring over Pienkowski’s enchanting silhouette illustrations, set against iridescent marbled backgrounds. Then, as a teenager I discovered Arthur Rackham’s classic illustrations, first popularised over a century ago. 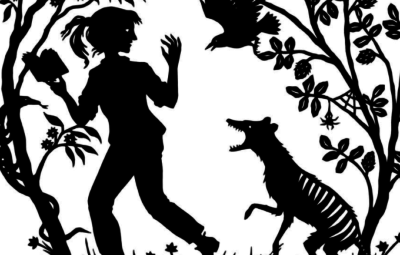 It makes me indescribably happy that, just as the tales themselves continue to be reinvented and retold to this day, there are plenty of contemporary artists turning out fresh, new and wonderful silhouette artwork based on fairy tales. 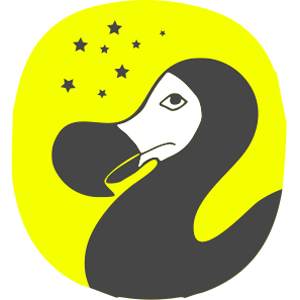 Here are a few of my favourite Australian artists and illustrators doing just that. 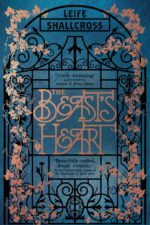 Kathleen Jennings is a three-time World Fantasy Award shortlisted and Ditmar Award-winning illustrator based in Brisbane, Australia (she’s also won a Ditmar Award for her writing). 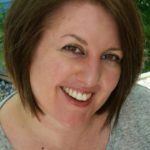 Her silhouette illustrations can be found gracing stories such as Ellen Kushner’s acclaimed Tremontaine series from Serial Box and Black-Winged Angels, by Angela Slatter. Perhaps it’s the way her characters’ hair flies around, or their elongated fingers or sharp noses, but there’s something a bit wild and untamed about Kathleen’s work, like this amazing mermaid, with bonus video showing you how she created it. 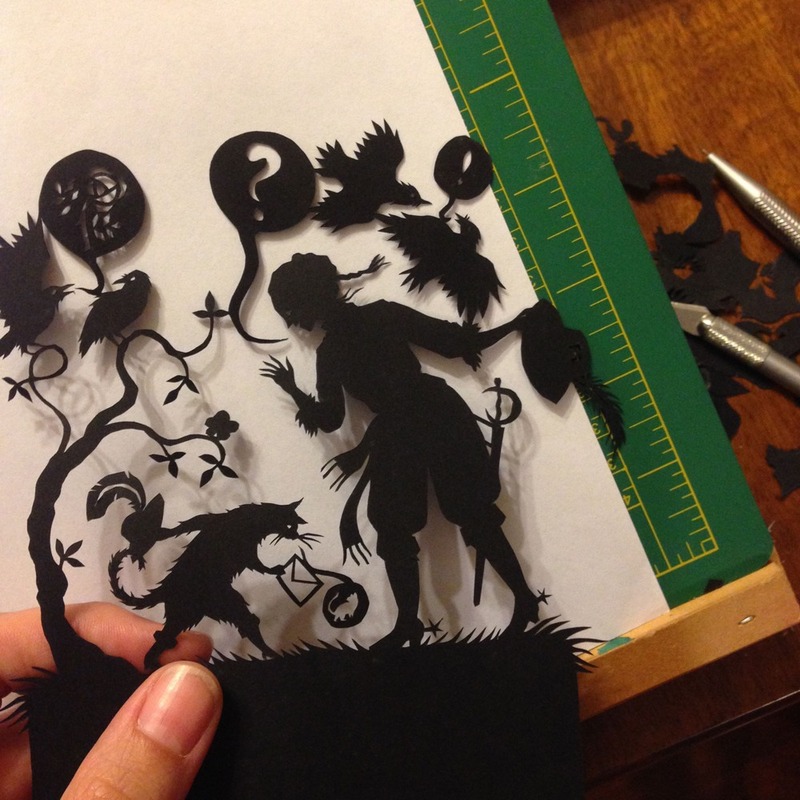 As well as loving her finished illustrations, I constantly find myself in delighted awe over her blog posts showing the progression of her artwork from sketches to the most delicate, intricate and impossibly Lilliputian silhouettes cut from black paper with a scalpel. 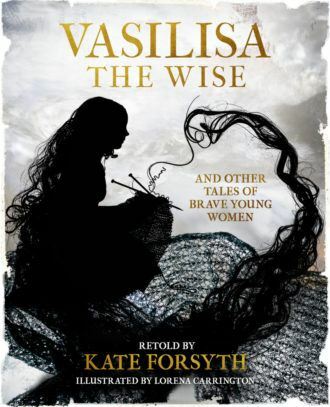 I discovered Lorena Carrington’s silhouette illustrations just recently, when author Kate Forsyth, the Queen of fairy tales in the land of Oz, announced the forthcoming release of her new book, Vasilisa the Wise and Other Tales of Brave Young Women, in December 2017. The cover took my breath away. Unlike the more traditional approaches of pen-and-ink or paper cuts, however, Lorena uses photography. 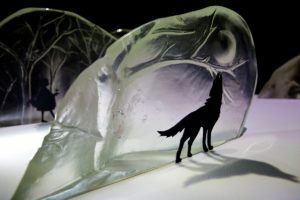 In this post she gives a fascinating account of her artistic process, photographing found objects – including, on one occasion, an entire fox skeleton! – and Photoshopping them into the wonderfully fanciful and ethereal images used in Vasilisa. Now, just for something completely different, let me introduce you to the work of my friend Spike Deane. Her work is focused on the underlying narratives found in folk and fairy tales and inspired by her memories of forest walks from her early childhood in Germany. 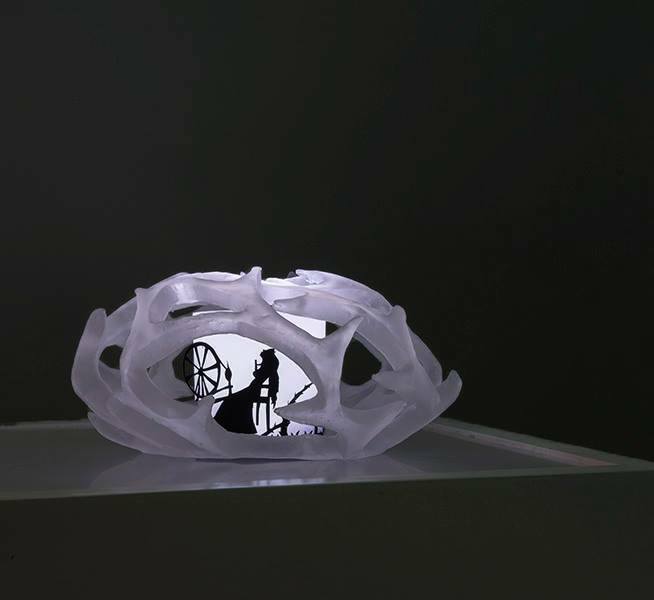 Spike is primarily a glass artist, specialising in cast glass. There is something magical about glass. You can see through it – sometimes – but there is no guarantee your vision of what is on the other side is accurate. Glass objects – mirrors, mountains, slippers – feature in so many fairy tales. Spike’s fairy-tale-inspired artwork captures this mystical quality of the medium and the tales. 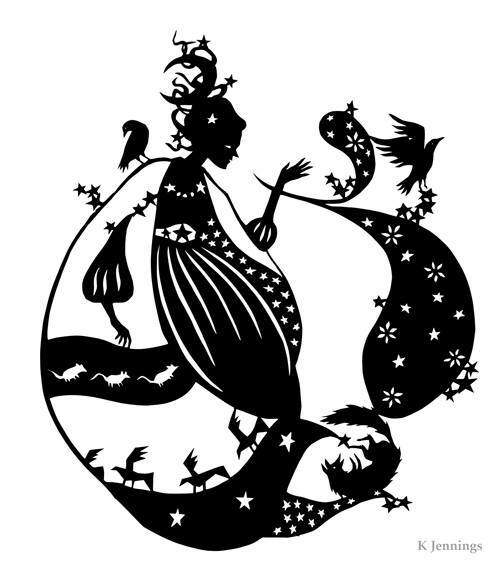 I love how in these pieces her silhouette illustrations feel like a tiny glimpse of a bigger story at the heart of the fairy taleish world she has created in glass.